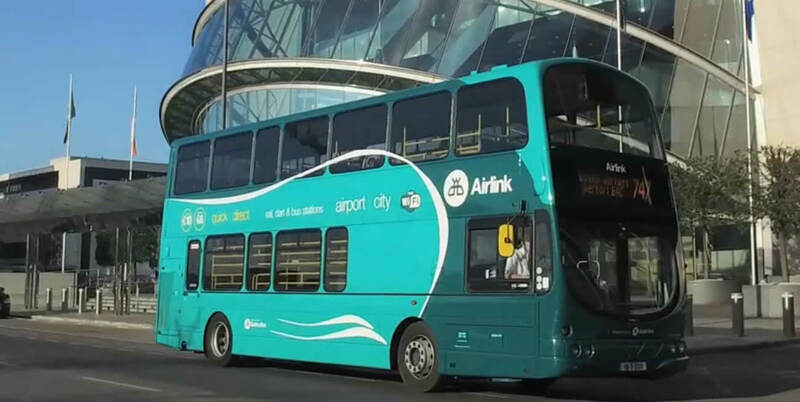 The Airlink Express is Dublin's No.1 Airport Transfer. Fly into the city for less with Airlink. Fastest & Best Value ... Beat the Dublin traffic through the Port Tunnel. Bus Stops throughout Dublin City Centre. 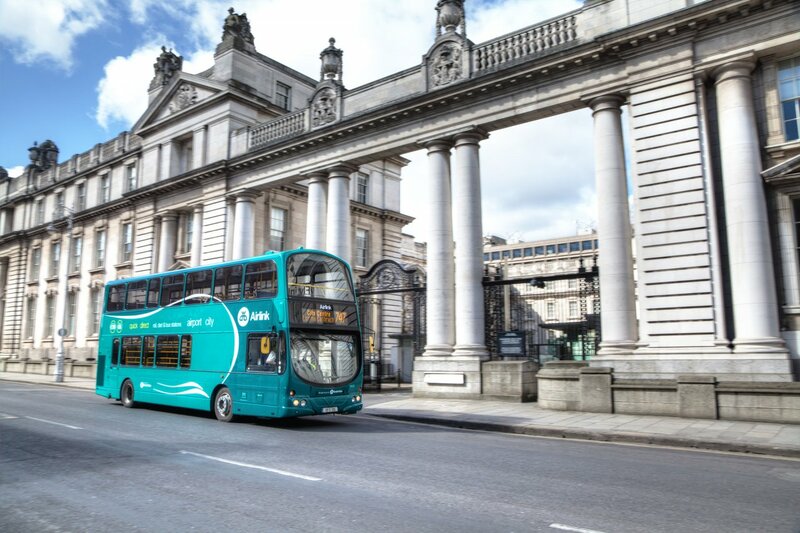 Connect with all Dublin transport providers; Dart Stations, Bus Éireann, LUAS, Dublin Bus, and Irish Rail. Save with online discounts, buy directly from driver, from our Airport desk, or from ticket vending machines at Terminal 1 and Terminal 2. 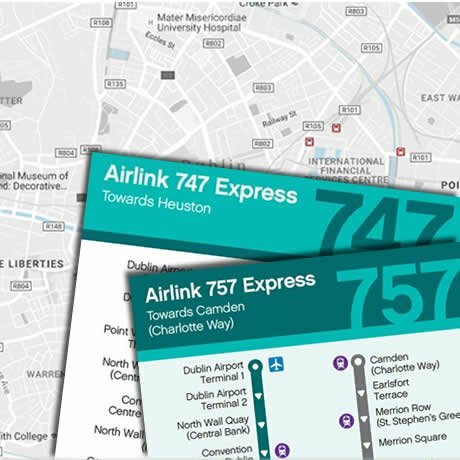 The 747 Route serves: Point Village & The 3 Arena, North Wall Quay (Central Bank),The Convention Centre Dublin, Irish Financial Services Centre (IFSC), Commons Street, Talbot Street; The Central Bus Station (Busáras), Connolly Rail Station, Gardiner Street, Cathal Brugha Street, O’Connell Street, College Green & Temple Bar, Christ Church Cathedral, High Street, Ushers Quay and Heuston Rail Station. The 757 Route serves: North Wall Quay (Central Bank) The Convention Centre Dublin, Irish Financial Services Centre (IFSC), Custom House Quay, Eden Quay & O’Connell Bridge, Hawkins Street & Temple Bar, Westland Row, Merrion Square, St. Stephen’s Green, Earlsfort Terrace, Adelaide Road, Camden (Charlotte Way) and Harcourt Street. There is free Wifi on board all Airlink buses to help you get your bearings. The only reliable way to get to and from Dublin Airport, I use it every time. Fast, Frequent and excellent value. Connecting Dublin Airport with the City Centre up to every 10 minutes. All buses travel via Dublin Port Tunnel guaranteeing the quickest and best value journey between the Airport and Dublin City. For even better value combine your Airlink and Hop on Hop off tour.